Forgot to take a picture of it new. Whoops. Hey it's been a few weeks! I've been pretty busy for a few weeks, then was feeling pretty roughed up by fibro for a while. Now that I'm feeling up to it, I've been spending every free moment outdoors enjoying the start of a really promising summer. 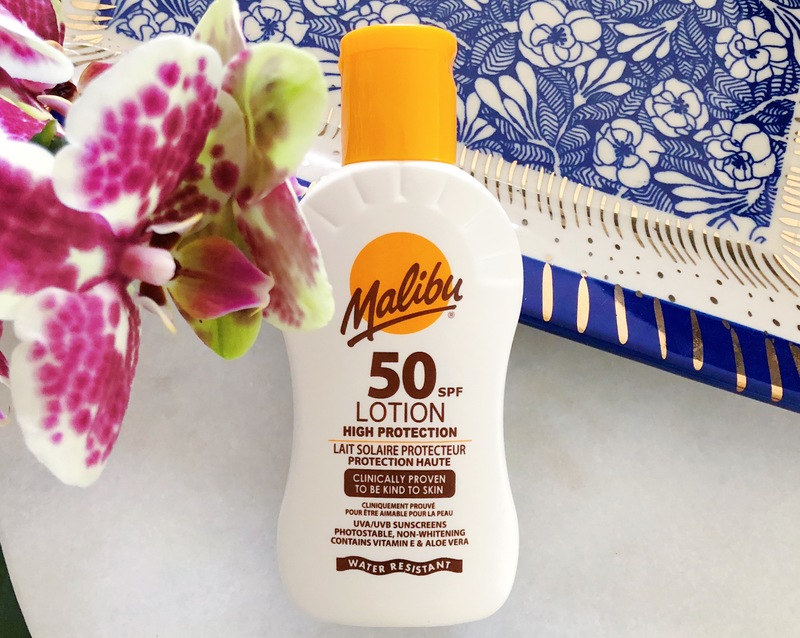 Today I'd like to review a product that I've been using since I bought it last fall. I had been looking for a new contouring product for a while. It was actually harder than I anticipated to find a cream contouring product with the specifications that I wanted. I prefer jumbo pencil/twist up bullet to anything in a pan and I wasn't looking for an additional highlighting product. Just wanted the contour shade by itself. I also wanted the right color. 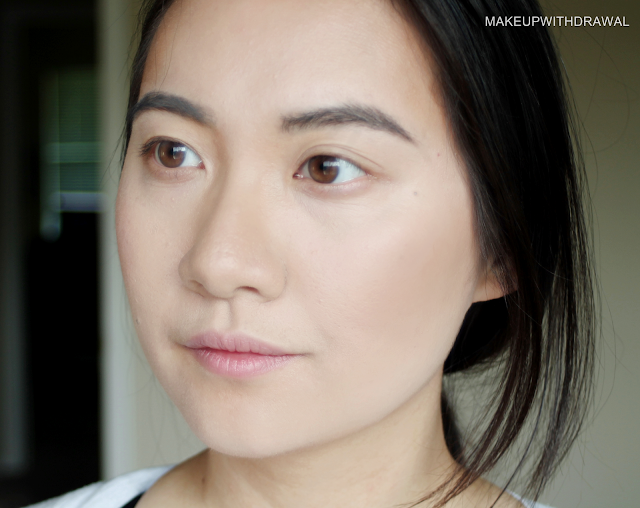 I had been using Graftobian HD Foundation in Hazelnut for years, but it didn't have the right undertone for my skin. This time I was looking for something darker than my skintone and fairly neutral. This Cover FX Cover Click Stick is $18 and comes in a stubby little silver tube. There's a duo sided holder that you can purchase separately, the idea is that you can pop two shades into the holder and have two products right at your disposal, whether you're using the product as concealer, foundation, highlight or in my case, contour. I was a little surprised at how small the tube was, and thought I would finish it in no time. It is a little difficult to use apply the bullet of product to your face without wiggling the base of the bullet around in the tube. My bullet came loose and fell out after the third application (but I squished it back in, it's holding). I'm currently babying the tube by only twisting the bullet until it is just peeking over the rim of the tube. I have N100 which is not as cool or even as neutral as I would like. Blended out, it really takes on a golden orange hue. It takes very little of this product to achieve a subtlety contoured face. It is quite pigmented and very creamy. It's easy to draw on your face with the bullet, no tugging on the skin. When I began using this Stick, I started out with swipes of the product in the hollows of my cheeks and at my temples and quickly realized that it was way more than I needed. All it takes are some light dots, like you're trying to mimic Jadzilla Dax's Trill markings. 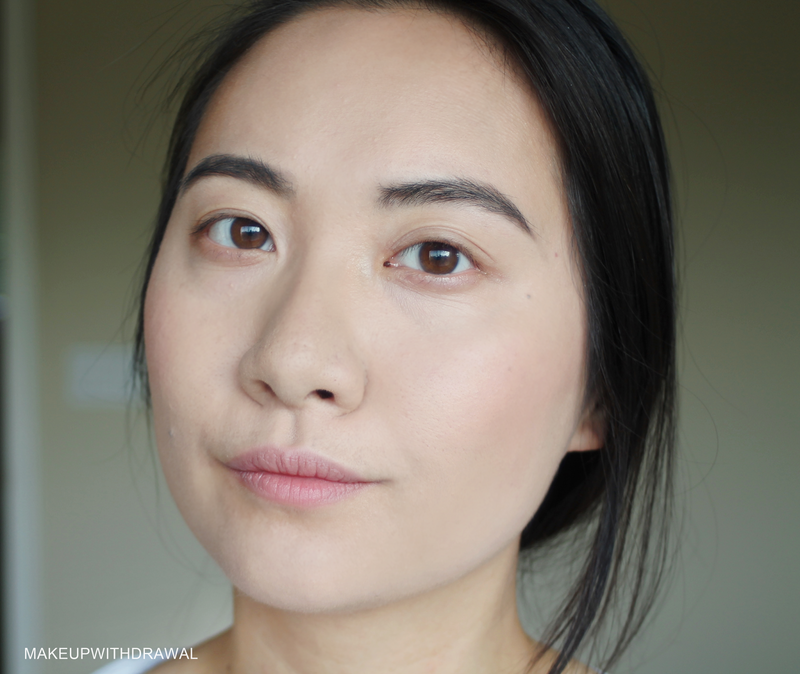 Base of Innisfree No Sebum Blur Primer (review here), Sephora 8HR Mattifying Powder Foundation, Glossier Cloud Paint in Beam. 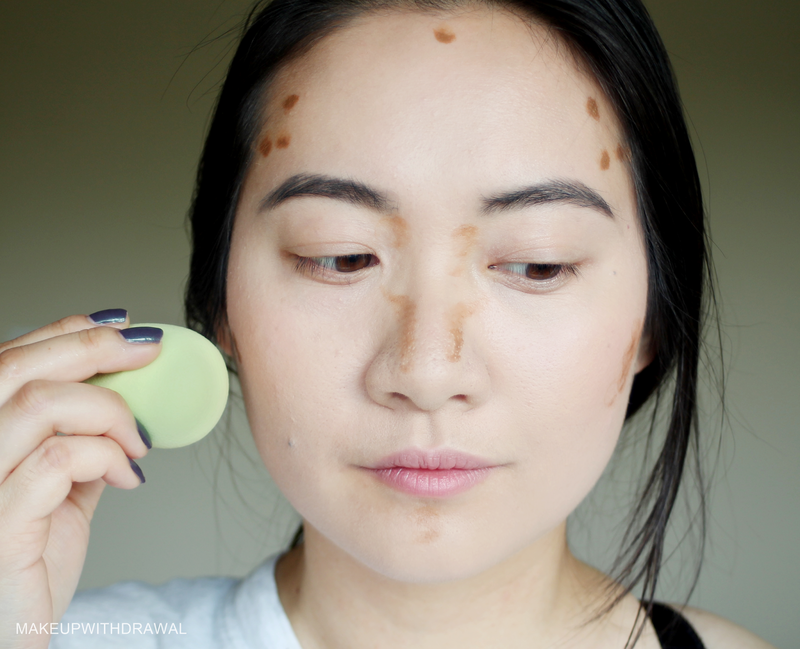 My favorite way to blend out this contour is with a damp beauty sponge, here I'm using the smaller sponge from the EcoTools Perfecting Blender Duo. It's top notch for really softening out the contour. For the nose area, I like how the Giorgio Armani Blender Brush sculpts out a nice shadow without over spreading the product. However, it's not amazing for blending out the cheeks or temple, it just takes a tedious amount of time to reach a streak free look. I purchased this late last year and have more than 3/4 of the bullet left. If I were using this as foundation, no doubt that I would have used this up at a much faster rate, but my initial concerns that this compact twist up tube wouldn't last me more than a few months were completely unfounded. At present rate, this Cover Click Stick will see me through the end of 2017 easily, despite using this product at least three times a week. I like it, but I don't love it. I don't think I would like this very much as concealer or foundation. It wouldn't be a good fit at all for my oily areas. The packaging is simple and functional, as are the contents. Just not very exciting, is it? I think the compact size would make it handy for travel. Would I repurchase? Not sure, I probably wouldn't because by the time I finish this stick, I'll probably be itching to try something new. 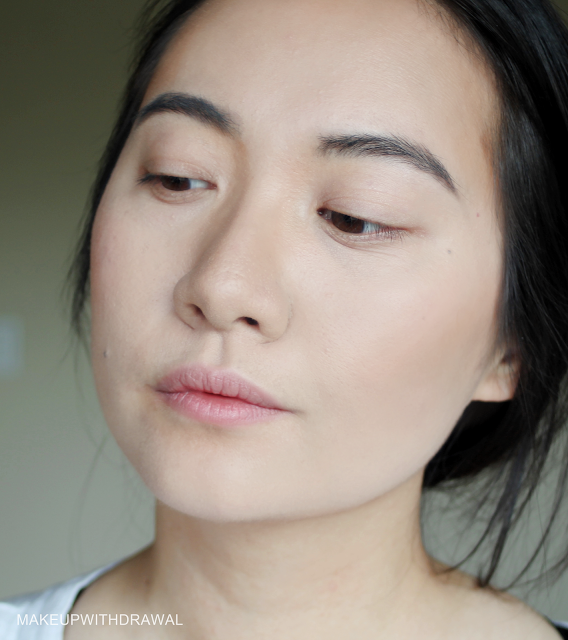 What kind of contour products are you rockin' at the moment? Cover FX Click Sticks are $18 each. Product featured was purchased by me for my own use. For additional information, please refer to my Disclosure Policy. Post contains affiliate links.